When I was a kid I used to raid my mother’s book shelves after I had emptied the village library, and my own book club books were turned over about 4 times. Most of the stuff I read I couldn’t really fully understand in all their complexities, but there are a couple of books from her shelf that have stuck by me for all these years. 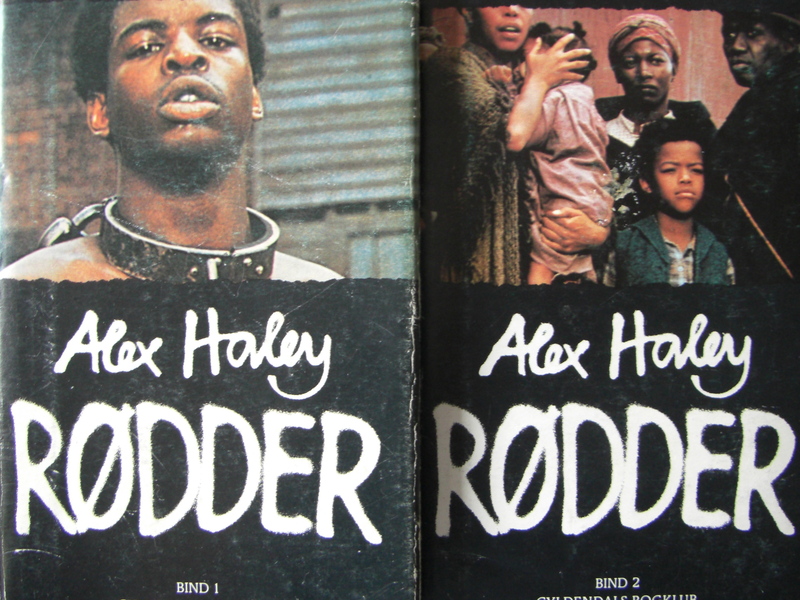 One of these books was Alex Haley’s ROOTS. To sum it up in too few words, the book is a family saga, written by Mr. Haley about his ancestry and as a symbol of the Afro-American slave history. The name Kunta Kinte has buried itself into my memory and is a symbol of both the knowledge I, since this book, acquired of Afro-American slave history, and the focal point from which I have read literature of this nature. 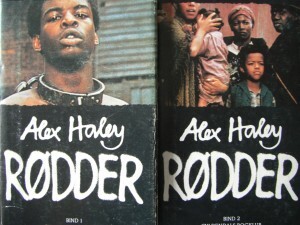 Alex Haley researched his family history for over a decade in museums and libraries around the world. What really stuck with me was when I read in the the last chapters just how important this story was for Mr. Haley, as he climbed into the cold cargo hold of the ship he travelled with from Africa to USA. He spent all ten nights down there, naked and freezing, in order to get an inkling of what his forefather went through, even how minor his experience could be compared to that of Kunta Kinte and so many of his country men and women. This sat with me, the amount of dedication to the story and how important it is to acknowledge something in order to process it. As much as I owe this book, and books like this one much for helping to build my character, sadly, this book also introduced me to an experience that I wish I could have lived without: shame over the color of my skin – shame over my cultural heritage and apparent standing in life. Irrational as it may be for a 12 year old girl, stuck in the middle of the Atlantic Ocean without ever having experienced or thought anything that could resemble any discriminatory act, the weight of the connotations that followed my skin color was heavy. How this could even be true, that you could take a human being, put them in shackles, transport them in pitiful conditions across the Atlantic Ocean, using them and abusing them in every manner, was so horrible a fact to come to terms with. I don’t know if the shame is a collective shame of the caucasian race in the Western post-modern world, or if it’s just because I’m an easy knock out, but it was very real during all my teenage years, that as much as I revered the great accomplishments of European thinking and philosophy, equally as much I was appalled by the darker corners. In later years, this shame has turned into anger and then to commitment. Having said that, I am eternally grateful for having read Roots. I am grateful that I learned that there is hope of breaking the mould, that things are not doomed or static, that the most powerful things in life are not always easily seen, and that they take time. And most of all I am grateful for having been shown that the ubiquity of human determination and intelligence can surpass and find loopholes in all constraints. Which book turned your world upside down and why? Tað var ein týsk bók, egmá fara at blogga um hana, mamma. hetta var so væl skrivað!